Stay at our great hotel in Stavanger city centre, within walking distance of the city’s shopping and nightlife areas. Our open lobby area and the popular Varmen Bar & Restaurant is a natural meeting place for both hotel guests and locals. Good meeting and conference facilities. 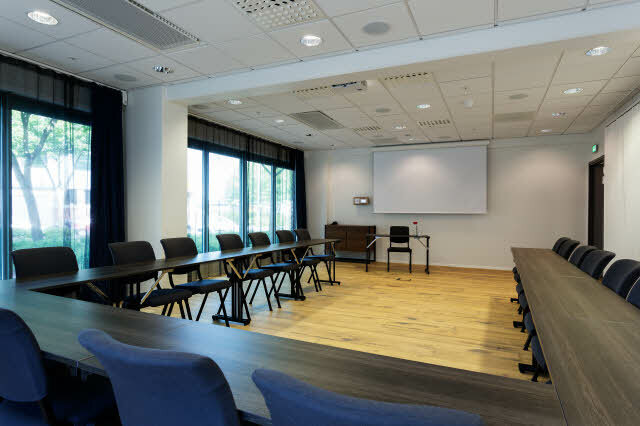 Hotel Scandic Stavanger City offers 226 comfortable and modern hotel rooms, and with a total of 581 beds, we are able to offer rooms with flexible solutions. In addition, 23 of our rooms are accessible rooms. Our hotel is a business hotel with a conference centre, equipped with a total of 7 meeting rooms. The hotel's largest meeting room can accommodate up to 130 people. With a location in the middle of Stavanger city centre, our hotel is the perfect starting point for your visit to the city. Whether you want to go shopping or sightseeing, most of it is within walking distance. If you wish to get out into nature and experience Lysefjorden or Preikestolen, our hotel is located a short walk away from the ferry that takes you there. Stavanger Airport Sola is located 14 km from the hotel. We make sure there’s always something fun for the kids to do. We have our own playroom with games, films and toys, which is open every day.